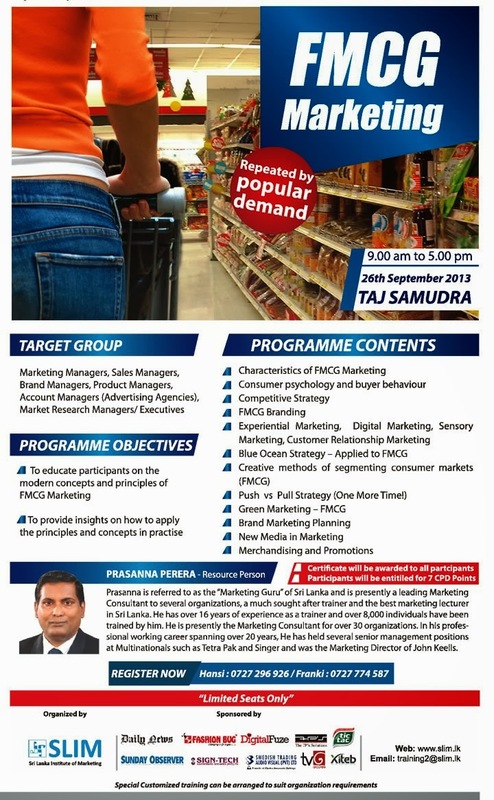 Prasanna is referred to as the Marketing Guru of Sri Lanka and is presently a leading Marketing Consultant to several organizations, a much sought after trainer and the best marketing lecturer in Sri Lanka. He has over 16 years of experience as a trainer and over 8,000 individuals have been trained by him. 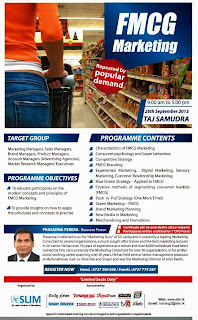 He is presently the Marketing Consultant for over 30 organizations. In his professional working career spanning over 20 years, He has held several senior management positions at Multinationals such as Tetra Pak and Singer and was the Marketing Director of John Keells. For more informations click bellow image.